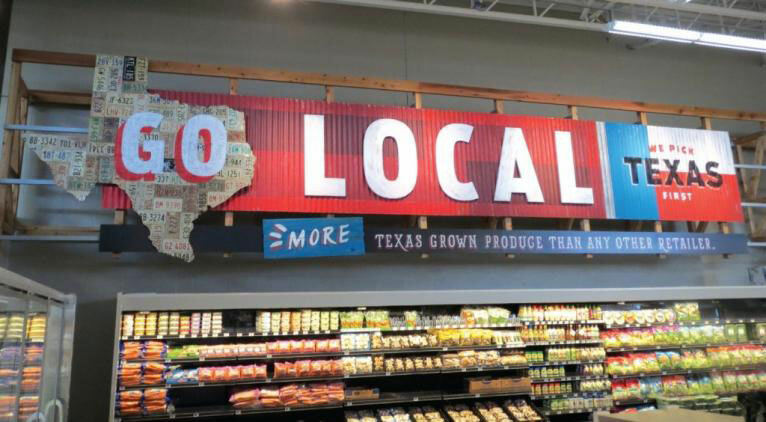 HEB Grocery is a San Antonio-based chain that operates its franchise mostly in the Texas, Mexico area. 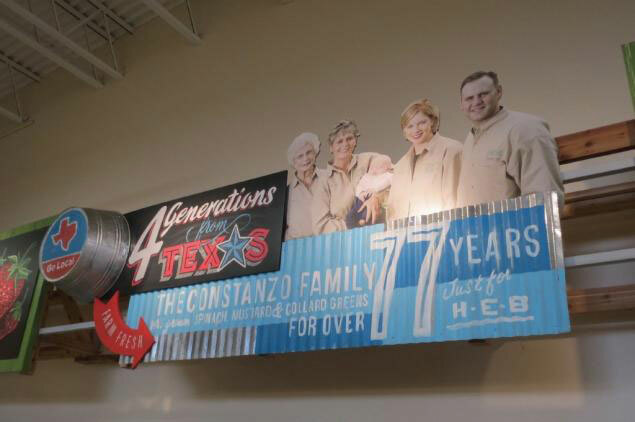 The chain commissioned Ion Art to fabricate and install a series of multi-purpose signage materials for the brand in its San Antonio stores. 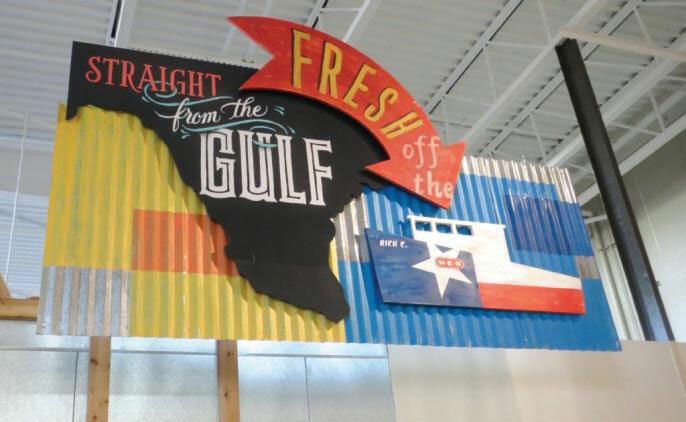 With a project of this size, Ion Art overcame a series of challenges, the team describes, “Making signs of this size—to be installed on an existing, on-site framework—presented one of the project’s biggest challenges. The team organized the fabrication and installation in district phases, this allowed for all similar signs to be fabricated and installed at the same time. For instance, the initial two phases included all signs without electrical components, which allowed for a quick transition of all similar signs to be fabbed and installed on site. Additionally, a series of methods made installation easier as well. The signs were all designed to self-support on the existing framework, which was already installed at the store and made installation quicker. The resulting signs utilize an abundance of materials to create a variety of dimensions. Each sign features materials such as neon, corrugated metal, Sintra PVC board and vinyl. The various chalkboard-like sections of the signs were created using table saw cut Sintra board in various thicknesses. The dimension of each sign was achieved thru the use of different substrates, where a farm-inspired feel was achieved in every sign.